It may sound like the stupidest financial move ever: getting credit cards after bankruptcy. But done right, it may be one of the smartest moves you can make for your credit. The main purpose for getting new credit cards after bankruptcy is to help boost your credit scores, which most likely took a hit when you filed. While it’s difficult (though not impossible) to earn a super-high score while the bankruptcy remains on your credit reports, it is possible to improve your scores significantly if you make an effort to add and maintain on-time payments. Current, positive information is critical if you want better credit scores. There’s a good reason to invest time and effort into improving your credit scores now, rather than wait seven to 10 years until your bankruptcy is no longer reported: Older accounts tend to help your scores more than recently opened ones. If you get several years of payments under your belt, your credit scores will likely improve quickly once the bankruptcy is removed from your reports (in seven years in the case of Chapter 13, or 10 years in the case of a Chapter 7) but if you don’t, your credit scores may actually go down once that negative item is no longer reported. What are the best credit cards to get after bankruptcy? A secured credit card is a great way to start over. These are one of the few types of credit cards that tend to be easy to get if you’ve been through bankruptcy or other credit problems. In most cases, they are available as soon as your bankruptcy is completed (discharged). You’ll place a security deposit with the issuer and get a major credit card you will use just like any other major credit card. Choose a card that reports your payment history each month to all three major credit-reporting agencies. Make your payments on time, all the time, no exceptions. One late payment can cause your scores to drop significantly. Keep your balances low. Using 10% to 15% of your available credit is ideal. If you have a $250 credit line, for example, try to keep your balance at $25 to $35 or less. Try to avoid charging it up to the limit. If you do make a lot of purchases in one month, pay off your balance as soon as you can. Once your credit reports show several months of payments with the secured credit card, you can apply for a second credit card, such as a retail credit card or another major credit card. A prepaid credit card won’t help your credit scores. These cards are debit cards, not credit cards, and typically don’t even appear on credit reports. That doesn’t mean you should avoid them altogether, though. You can use one to help you stick to a budget after bankruptcy. For example, you can load your “spending money” onto one of these cards each payday, and when that money is gone, you know you have to put the brakes on your spending until the next payday. If you are trying to rebuild credit after bankruptcy, you need to review your credit reports and scores. Assessing the damage won’t be easy, but there’s no getting around it. Get your credit reports from AnnualCreditReport.com about three months after your case is discharged and dispute any mistakes you find. Check your credit score each month and if you have positive credit references reporting to the credit bureaus, you should see steady progress over time. One more tip: Get new credit cards after bankruptcy, not before. Don’t apply for credit until your bankruptcy is discharged, unless your bankruptcy attorney gives you the OK. Taking on additional credit while you are still completing a bankruptcy could jeopardize your case. 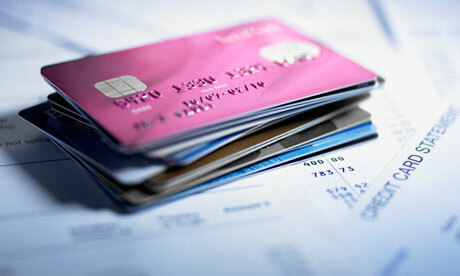 Best not to apply for a new credit card at all after filing bankruptcy. Just to be safe.